Schilling Commercial Real Estate, LLC is a creative, multifaceted commercial real estate firm headquartered in Anchorage, Alaska. The firm provides the full spectrum of commercial real estate services for owners and users of office, retail and industrial properties. Schilling Commercial Real Estate, LLC carefully listens to its clients to understand their needs and has found success by helping clients achieve their goals with integrity and commitment. We assist entrepreneurs, small businesses, and corporations to achieve their real estate goals. Their experience representing both owners and users gives them a distinct dual vantage point for current market dynamics. Paul is a broker for Schilling Commercial Real Estate specializing in retail tenant representation as well as landlord representation, sales and dispositions. For over 20 years, Jennifer has acquired industry experience as a marketing representative, investments sales advisor and leasing representative for organizations throughout Anchorage and Alaska. 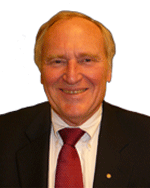 Paul L. Schilling is one of the premier commercial real estate brokers in Alaska. Schilling Commercial Real Estate LLC offers prime commercial properties for sale and lease throughout Alaska with a central office located in Anchorage, Alaska. Schilling Commercial Real Estate LLC services clients with over twenty years of real estate experience. Properties are never too small or too large for Paul Schilling to service the discerning investor.